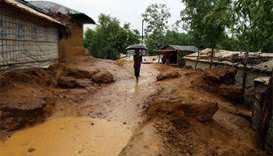 A brief but heavy downpour turned roads into quagmires in the world's largest refugee camp, hindering relief efforts and hinting at the danger ahead for the Rohingya refugees. Bungling, distortion and diplomatic doublespeak have hollowed out the deal to repatriate Rohingya from Bangladesh to Myanmar, with refugees refusing to return to a homeland that remains perilously insecure. 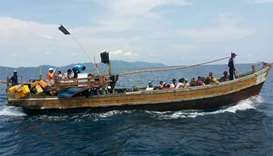 Bangladesh officials said on Monday a fishing boat carrying Rohingya Muslims to Southeast Asia did not set sail from its shores, where close to one million refugees live in congested camps. 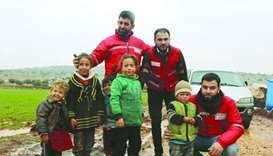 QRCS personnel in Syria have distributed more than 13,500 winterisation clothing kits for adults and children so far. The campaign is aimed at providing essential needs during the cold winter months to refugees and displaced people from conflict-ridden countries in the region. Around 3,000 refugees had camped outside United Nations offices at the camp since Tuesday. On Thursday police tried to disperse them using teargas. 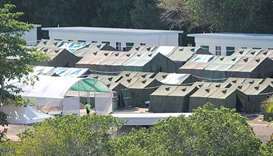 The refugees - mostly single men from Afghanistan, Pakistan, Myanmar and Bangladesh, as well as one Sri Lankan family with four children - flew out from Nauru on Sunday, said Ian Rintoul, the spokesman for Refugee Action Coalition. The United States suspended $65mn to the United Nations Relief and Work Agency (UNRWA) earlier this month, as well as a separate $45mn in food aid. 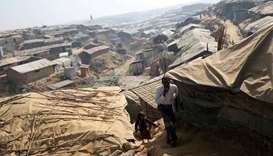 More than 100,000 Rohingya refugees huddled in squalid, muddy camps in Bangladesh will be in grave danger from landslides when the mid-year monsoon season begins, a UN humanitarian report said. 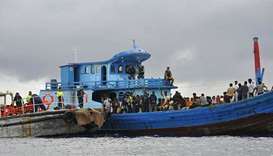 Bangladesh Foreign Minister A H Mahmood Ali insisted that the operation to return some 750,000 refugees who fled unrest and a military crackdown in Myanmar would involve the UN's refugee agency.